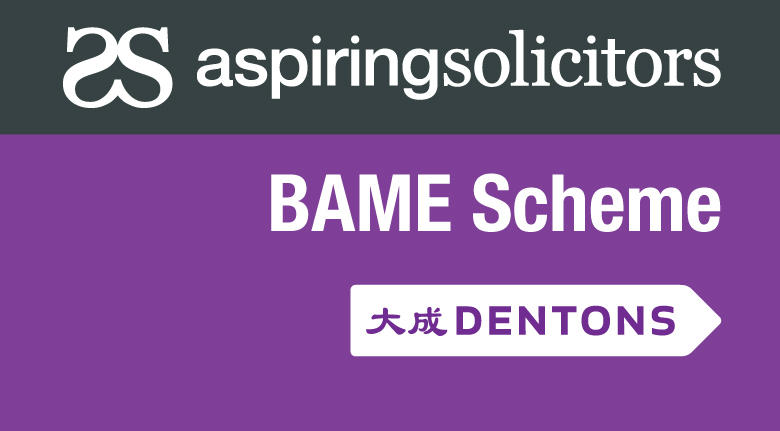 Aspiring Solicitors is proud to be partnering with Dentons to deliver a bespoke mentoring scheme to 15 BAME Aspiring Solicitors members. This year’s scheme will run between September and November 2019 and will be open to both law and non-law students. 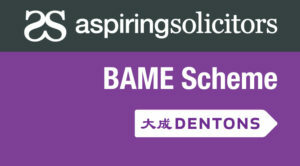 Securing a place on the scheme will not only give you access to regular mentoring calls with Dentons’ lawyers, but you will also have the opportunity to attend bespoke workshops covering everything from a tailored application masterclass, interview masterclass and how to tackle commercial awareness questions. 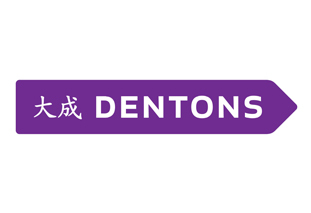 Dentons will also host exclusive networking events, allowing you to meet trainees, associates and partners, whilst building your profile ahead of the competitive application season. To be eligible you must come form a BAME background, have achieved ABB at A level and be on track to receiving a 2:1 university degree classification.